In a recent paper, Kiritsis and Li presented a holographic model to study the competition between different orders at finite doping in holographic superconductors. In the present work, we introduce fermions into such model and study the fermionic spectral functions in the normal phase at zero and finite temperatures. Combining analytic and numerical methods, we found that there is a crossover from a strange metal with short lived excitations at small doping, into a Fermi liquid with well defined quasiparticles at large doping. The critical doping at which excitations becomes long lived increases with temperature. The emerging phase diagram is qualitatively similar to that of High Temperature Superconductors. J.G. Bednorz and K.A. Müller, Possible high Tc superconductivity in the Ba-La-Cu-O system, Z. Phys. B 64 (1986) 189 [INSPIRE]. P. Kovtun, Lectures on hydrodynamic fluctuations in relativistic theories, J. Phys. A 45 (2012) 473001 [arXiv:1205.5040] [INSPIRE]. S.S. Gubser, Breaking an Abelian gauge symmetry near a black hole horizon, Phys. Rev. D 78 (2008) 065034 [arXiv:0801.2977] [INSPIRE]. C.P. 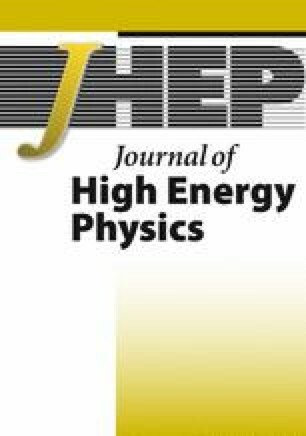 Herzog, Lectures on Holographic Superfluidity and Superconductivity, J. Phys. A 42 (2009) 343001 [arXiv:0904.1975] [INSPIRE]. H. Liu, J. McGreevy and D. Vegh, Non-Fermi liquids from holography, Phys. Rev. D 83 (2011) 065029 [arXiv:0903.2477] [INSPIRE]. S.-S. Lee, A Non-Fermi Liquid from a Charged Black Hole: A Critical Fermi Ball, Phys. Rev. D 79 (2009) 086006 [arXiv:0809.3402] [INSPIRE]. R.A. Davison, K. Schalm and J. Zaanen, Holographic duality and the resistivity of strange metals, Phys. Rev. B 89 (2014) 245116 [arXiv:1311.2451] [INSPIRE]. T. Faulkner, H. Liu, J. McGreevy and D. Vegh, Emergent quantum criticality, Fermi surfaces and AdS 2, Phys. Rev. D 83 (2011) 125002 [arXiv:0907.2694] [INSPIRE]. C. Cosnier-Horeau and S.S. Gubser, Holographic Fermi surfaces at finite temperature in top-down constructions, Phys. Rev. D 91 (2015) 066002 [arXiv:1411.5384] [INSPIRE]. B. Pioline and J. Troost, Schwinger pair production in AdS 2, JHEP 03 (2005) 043 [hep-th/0501169] [INSPIRE]. S.A. Hartnoll and A. Tavanfar, Electron stars for holographic metallic criticality, Phys. Rev. D 83 (2011) 046003 [arXiv:1008.2828] [INSPIRE]. M. Henningson and K. Sfetsos, Spinors and the AdS/CFT correspondence, Phys. Lett. B 431 (1998) 63 [hep-th/9803251] [INSPIRE].